Wayne Gretzky has little doubt that Connor McDavid will be able to smoothly transition to the NHL this season. “Going right from junior to the NHL? 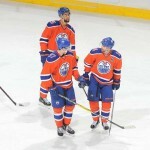 That’s a big step for Connor,” Gretzky said. “But he’s the one guy who can handle it. He’ll be fine. With his speed and his shot and his creativity and his hockey knowledge, that’s as good as anybody.” McDavid is facing similar challenges as Gretzky — media focus, fans, comparisons and filling huge expectations. McDavid had 44 goals and 120 points with the OHL’s Erie Otters last season. 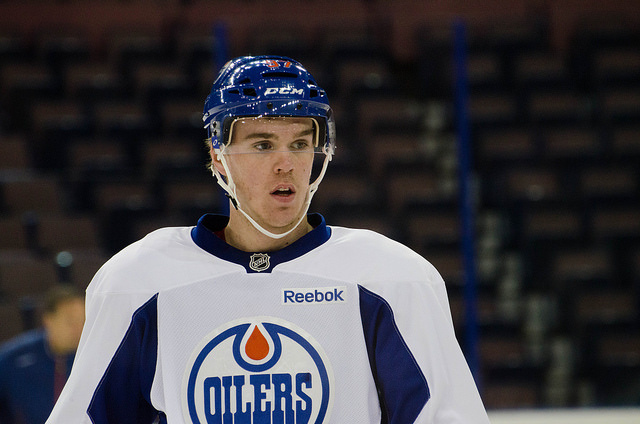 How many points can be expected from McDavid in the 2015-16 season? 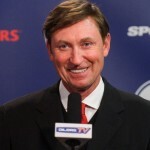 “I don’t know what to expect quite honestly,” Gretzky said. “The best players in the game only managed 87 points to win the scoring title last year because the game is so defensive right now. Gretzky said it took him about 40 games in the NHL to get used to the league, the speed of the players and their size ­— and he thinks it will be about the same for McDavid. I live right in the center of McDavid Mania! Born and raised in ‘Oil Country,’ as a lifelong Edmonton Oilers fan, this NHL off-season of been the most exciting in my 27 years of life. When I thought the people on the street about the Edmonton Oilers was general consensus is we have a playoff team with all of the recent changes. On paper, I would have to agree. Management went out and addressed a lot of weak spots on this hockey club and I commend them for. However, Until I see this team winning consistently in the regular season, I will not say we are guaranteed playoff team. In fact a lot of teams, have made positive changes to their rosters. I.e. Dallas Stars, Los Angeles Kings, Colorado Avalanche. Making the Western Conference that much harder to compete in on a nightly basis. One thing I will go on record about is: Connor McDavid, I do think he will become the best hockey player in the National Hockey League over his career. In terms of his rookie season: Anything between 70 – 75 is more than acceptable in my books. 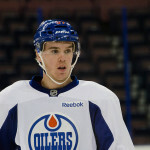 The last person the Edmonton Oilers have to worry about is McDavid. My concern, is: Are the other changes dynamic enough to get us competitive again?